The British Grand Prix started behind the safety car after the formation lap was completed in the dry but a sudden downpour meant wet tyres were mandatory. The action started properly after five laps, and many drivers opted for intermediate tyres, with Hamilton, Verstappen and Pérez benefitting from waiting later. Sebastian Vettel was the first to opt for dry tyres, and from then on it was a matter of making them last to the end of the race. The track remained wet at the first corner which caught out a lot of drivers, and there were a handful of retirements including Wehrlein, Ericsson, Grosjean, Haryanto, Palmer and Magnussen – not all at that first corner, I must say. 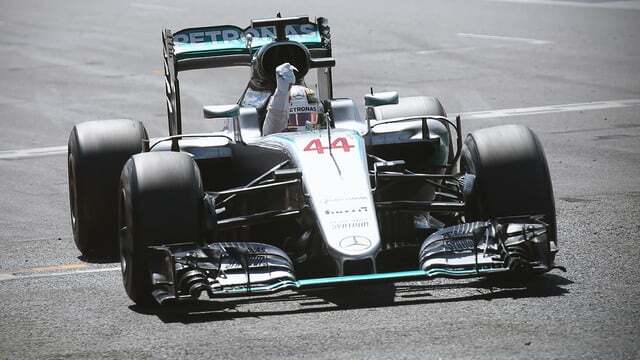 Hamilton took a relatively straightforward win, ahead of Rosberg in second and Verstappen in third. The pair had been battling throughout the race but it came down to post-race penalties. Rosberg was given a ten second drop for being given too much help over the radio, dropping him to third place and promoting Verstappen up to second. The gap in the championship, then, is down to one point and the momentum sits firmly with Hamilton.